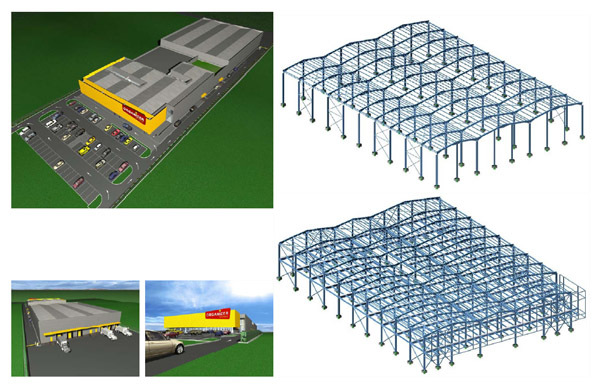 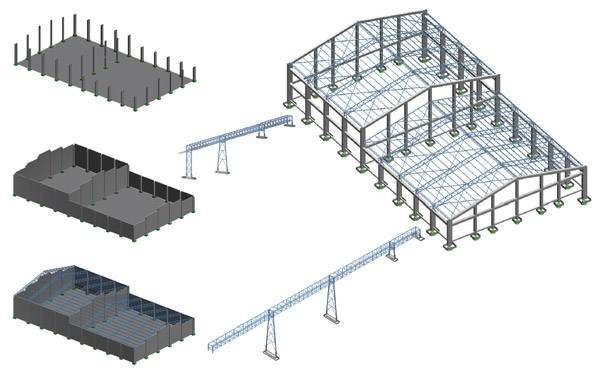 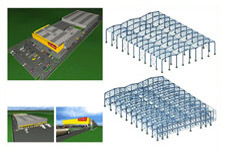 Metal structures are a great asset in the construction of industrial areas. They offer advantages such as speed, economy, versatility of design, large openings and good behavior under earthquake. 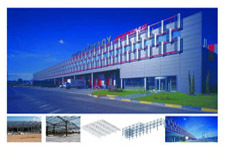 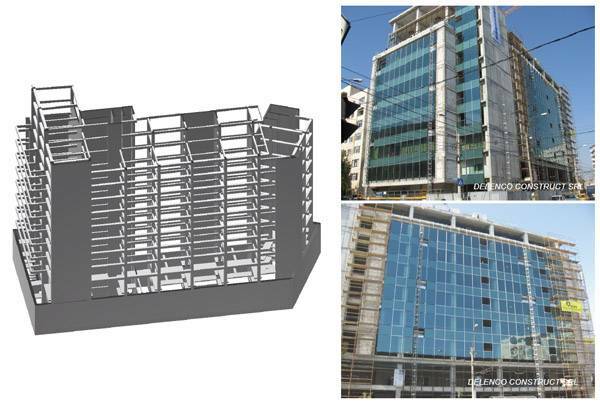 Detailed design of the members and connections is demanded so that quality and precision during cutting and welding of individual blocks is achieved in the factory. 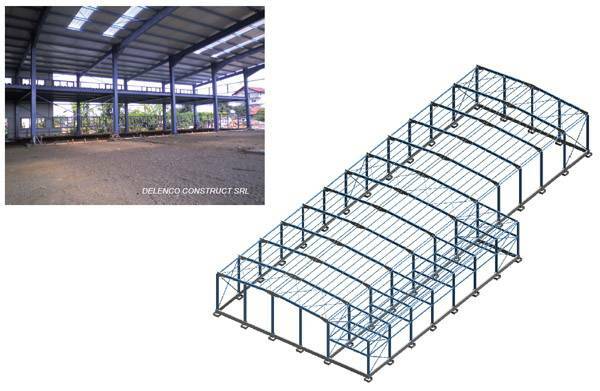 A further prequisite should be the complete prefabrication of the construction groups so that on-site welding, which is of questionable quality, is avoided. 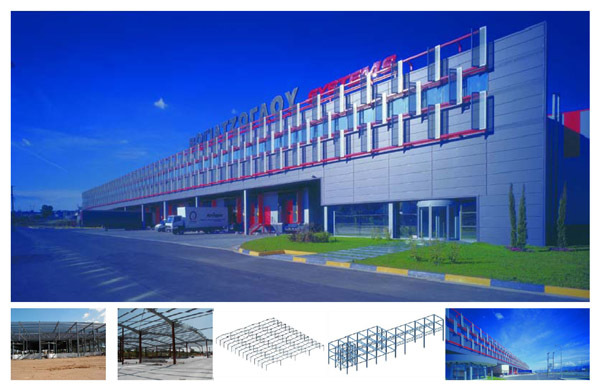 At the same time easy transportation, errection, placing, bolting are achieved and perfect fitting of the members is realized. 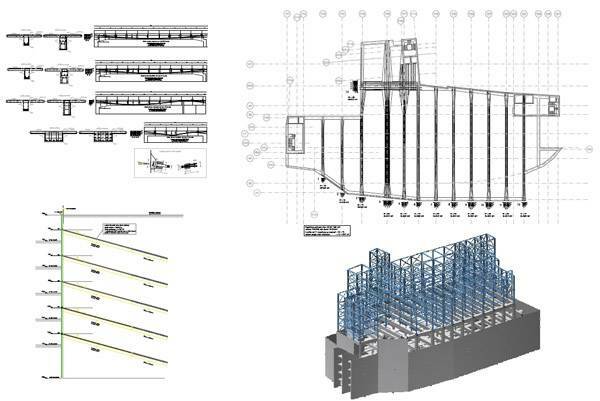 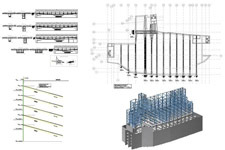 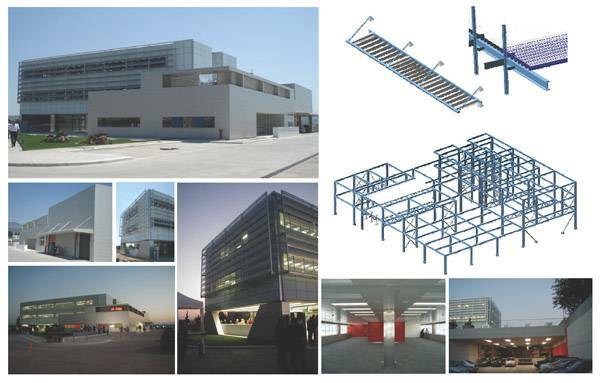 Metal structure with 30m spans, with two story office areas, of total area 18.000m2, was completed within six months. 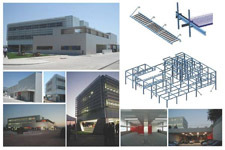 The office floors are composite elements of an average thickness of concrete of 10cm. 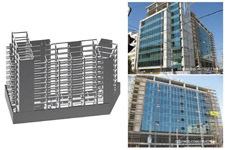 Seismic forces are undertaken by metal cores of stairs and elevators. 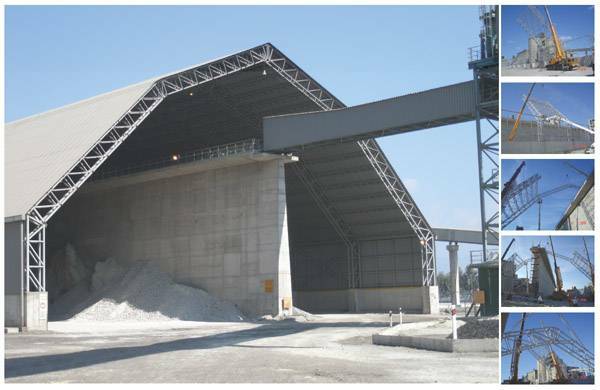 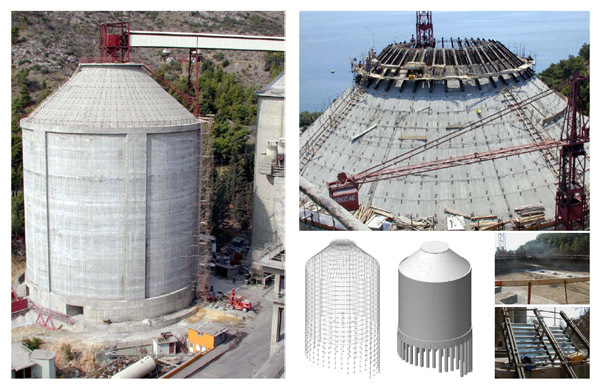 Prestressed clinker silo of 50.000t capacity in Volos, with wall thickness of 40cm was constructed using sliding metalform. 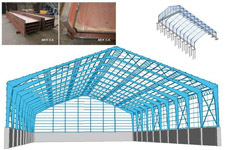 Its roof shell was constructed using metalform in free cantilever method. Temperature differences were of a class of 50οC and therefore special calculations for cracking were required. 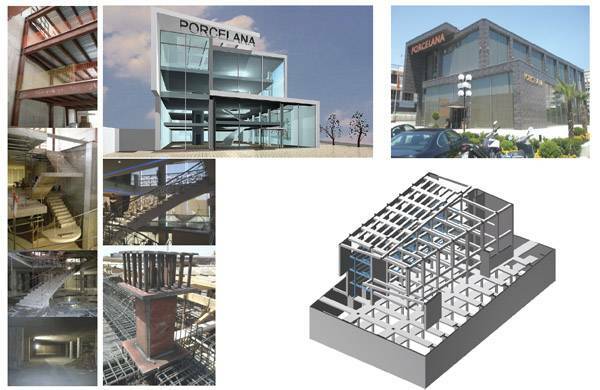 The foundation was on piles on two different levels. 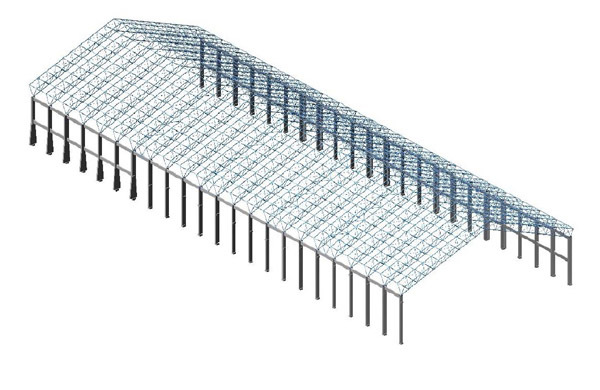 A metal roof of a span of 60m and 140m long, for covering raw materials, was designed and constructed in Chalkis. 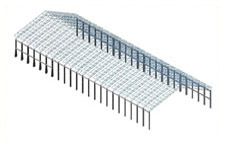 The roof was designed as a light space trichord truss of hollow sections. Steel consumption was 35 kg/m2 which is considered to be very low for such a span. 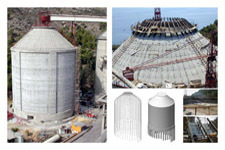 Special calculation was required for wind loads, due to its form. 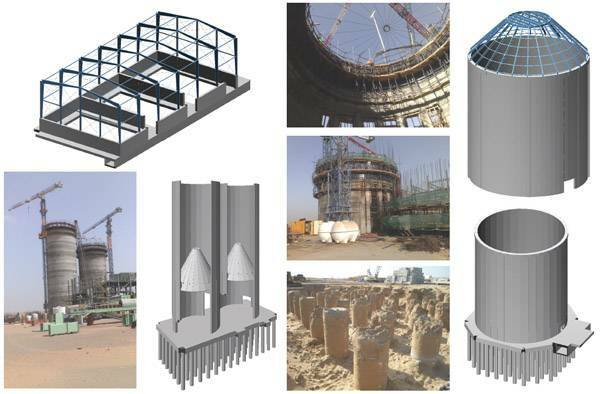 In UAE, cement and clinker silos have been founded on sandy soil using a relatively stiff slab on short friction piles. 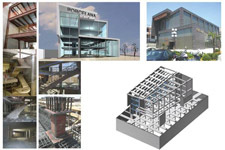 Differential settlements have been avoided through interconnection of foundation. 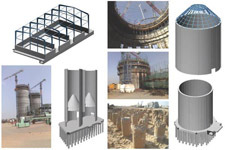 Dynamic earthquake loads are also afforded without risk of soil liquifaction.